6 Tips to Help Get Your Indie Books in Stores. Struggling to find book shops that will order your books? Need help with ways to make this dream a reality? It is possible, and my books are the proof that you too, can do it! Produce a quality book. One that any store would be happy to have on display on their shelves among the traditionally published books. The old cliche "You can't judge a book by its cover," unfortunately is not true. Your book has to be visually appealing. It has to entice buyers to pick it up off that shelf so that they will browse through it and make a decision. If a shop owner believes your book has this charm, they are more willing to take a chance and place an order. I was once told by the manager of one gift shop that my books were "so beautiful they would sell themselves." That manager had no hesitation in placing an order. Do your research. Does your book or books fit into a specific niche? Think outside the square, other than book shops, can you think of other places that might be interested? There are many different and selective gift shops you can target. I have two totally different series of books that I am marketing, so they require different scenarios. My Australian picture books are ideal for many tourist gift shops, Information Centres and National Parks, however my Alien short chapter books do better in places like museums of Science and Technology. You may find garden centres more suitable, coffee shops or other places of interest. You are only limited by your imagination. Start local. Look around your local area. Many shops are prepared to support a local author. One of the first questions I am often asked is, "Are you local?" If I answer yes, they are far more interested in considering what I have to offer. Sometimes when I have been further afield they are still willing to take a chance, it all depends on the particular store. You have to gauge what their reaction may be when you look around. Sometimes it is evident that the store stocks local products only. Don't waist your time even asking. Sometimes it's more a case of "you never know, unless you give it a go." I have been to places where emus are found naturally roaming the streets and thought the gift shop there would be interested for sure. As the area was targeting tourists that come to see the dolphins, their shop consisted only of dolphin and other sea creature products. Not an emu in sight! "Emma the Eager Emu" was evidently not wanted. Yet another gift shop in a similar area was more than pleased to take an order of both 'Emma" and "Frazzled Freya." Make a connection. Once you have discovered where your books are a best fit, check out their websites. Plan a visit. I always enter a store and take a good look around to see what they have on offer. 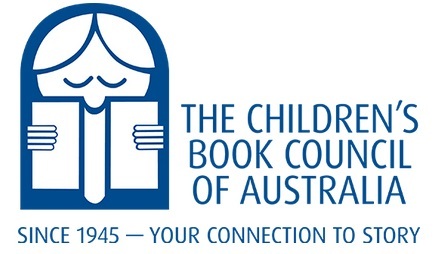 If there are books similar to mine, that is Australian picture books, then I'll usually ask to speak to the manager or whoever is in charge of stock purchases. If I am lucky, they are available, we have a chat, I show them my books and they make a decision. It's not always that simple, they may have to take the books to a committee and reply to you in a week or two. Other times, if the person is not available, I suggest leaving a complimentary copy for them to peruse at a more suitable time. I always leave an information sheet that includes all my contact details, the Recommended Retail Price and the wholesale price. Be sure to get their contact details before you leave. A business card you can swap is always handy. Introduce yourself. Either in person or via an email. You can't get to every store you want to target, sometimes an email is the only option. Some retailers only want to be contacted by email, not in store. Don't forget the follow up emails also from those contact details you picked up in the stores you left your books in. Always be polite with your introduction and attach a copy of your front cover. Add any links to your website, Facebook author page or Amazon links, anything that might help them gain further information if interested. If I haven't left a copy of my books in-store, then I also offer to forward a pdf copy for them to see if interested. Never give up. I started out with my first book in 2012, it hasn't been until this year, 2016, since I have had four books published, that I have begun to have more success with selling my print copies to more stores. Stores often look for more than one book they can sell from you. In fact I have even been asked if I have any others! Naturally I am working on this. For every yes you will receive two or three "no's." Don't let it worry you, move forward and look elsewhere. There is always another opportunity around the corner and another store that will appreciate what you have to offer. It may take time, but persistence does pay off. It took me four months to land an order from Questacon, the National Science and Technology Centre here in Canberra. I initially dropped copies of all four books in there back in July after another gift shop that placed an order not only made the suggestion that I try Questacon, but also gave me a contact name. After various emails back and forth an order was placed this week for my Bradberrie Brothers Alien Adventure series. I am so excited and honoured to be given this fantastic opportunity. It isn't every day you get a couple of your books into one of the busiest and best places for kids visits in our Nation's Capital city. Questacon is in the heart of Canberra and is a place where school children visit from all over the country. It is known Australia wide as a great hands-on science and technology museum. To have my science based children's books included in their gift shop is amazing and I am so thankful. Just like Emma the Eager Emu, I have followed my dreams, set my goals and been persistent. If I can do it, you can too! Good luck and best wishes for your successful journey whatever path you decide to take. Have you managed to sell your indie books in stores? Drop me a line in the comments section below. I'd love to know how you also achieved it. If this post helps I'd also enjoy hearing how you go.